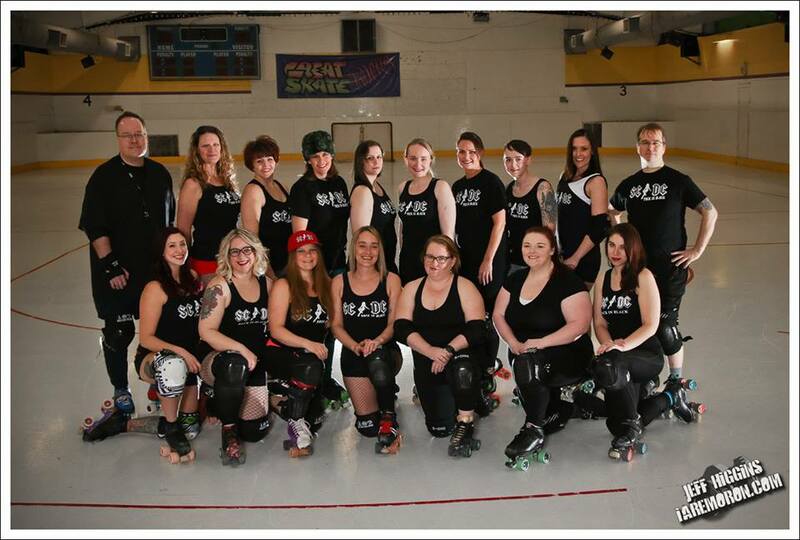 Great Skate is the practice home to St. Chux Derby Chix! This is a Women’s Flat Track Derby Association (WFTDA) team. This is a highly competitive Women’s Roller Derby team from St. Charles, MO. Check out this piece by Lindenlink Multimedia! Exciting! The St. Chux Derby Chix are not a Great Skate organization; they rent the rink for practice twice a week. If you are interested in joining them, you may come up to a practice on Monday nights 7-9:30 to meet the team and discuss membership. Another option is to visit their website at http://www.stchuxderbychix.com on which they have a sign up option. Good luck and great skating! Are you going to offer any other Junior Derby classes? Thank you for asking about Junior Derby. That program is hosted by the St. Chux Derby Chix and is not a program by Great Skate. I will email you the contact information for this program.